Paul Ho (iCompareLoan.com) 25 June 2017. 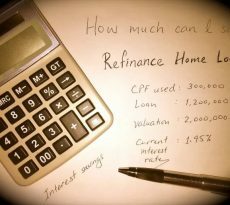 Is standard chartered bank in Singapore a local bank or a foreign bank? Many people are often asking me this question. I guess the question they are trying to get at is, “Is the bank safe?”, “Is it a big and strong bank?”. Standard Chartered bank was and still is very dear to my heart as I grew up. Taking a walk back to the memory lane. I used to stay near Tanglin Halt area, (where the first “Singapore Improvement Trust (SIT)” flats were built, SIT was later superseded by HDB) and POSB was the bank where my mum kept my bank account book. When I got my NRIC as 12, I went to open an account in Standard Chartered Bank at Block 70 plus in Tanglin Halt. My family is not wealthy, but we were not poor either, I had first $70 a month of pocket money and later that grew to $90 a month. I would dutifully go to Standard Chartered Bank to deposit $40 to $50 each month. I had the joy of watching the digits on my bank book grow. That “Big Strong Friendly” slogan is perhaps not used anymore today. But in the 1980s, that slogan has a profound impact on my young mind, whoever designed this slogan is a genius. Fast forward to today, it is “Here to stay”, perhaps lacking that affinity compared to 1980s. Where did Standard Chartered Bank come from? Surprisingly, standard chartered bank was called, “The Standard Bank of British South Africa, Limited” quite a mouthful. It was incorporated in London on 15 Oct 1862 by a group of south African businessmen led by John Paterson. (Wikipedia) The bank started operations in 1864 in Port Elizabeth, South Africa. 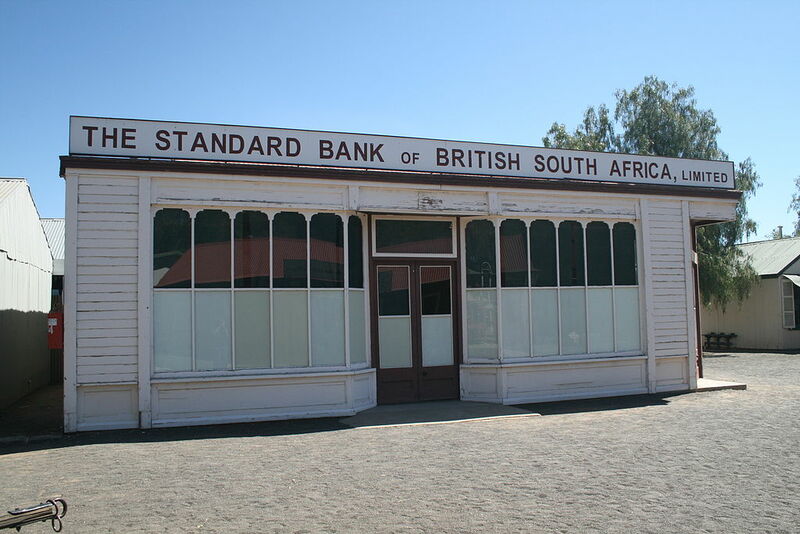 Image: The Standard Bank of British South Africa, Limited in the 1800s. The bank grew by merging with several banks and by 1867 was a prominent in financing the development of diamond fields of Kimberley. Standard Bank of South Africa Limited – 1881. The word “British” was dropped. The bank expanded northwards of South Africa when Gold was discovered in Witwatersrand, which is on the north side of South Africa. In 1912 it opened a branch in New York City. By 1950s, Standard Bank has some 600 offices around Africa. 1962, the bank was renamed Standard Bank Limited. In 1969, the Standard Bank became Standard Chartered Bank after merging with Chartered bank of India, Australia and China. Today, the Standard Bank name is still used in South Africa. Standard chartered is listed on the London Stock exchange and is a FTSE 100 index stock. It also has secondary listings on the Hong Kong Stock Exchange and the National Stock Exchange of India. Khoo Teck Puat was Standard Chartered Bank’s largest individual investor in the 1980s. Most of his wealth came from owning Standard Chartered Bank shares which were acquired in the 1986 when he assisted in thwarting a hostile takeover bid by Lloyds bank by acquiring 5% shares of the bank. Over the years he raised his stake to 15%. When Khoo Teck Puat passed away, his estate agreed to sell his Standard Chartered bank stake to Temasek in 2006. Temasek went on to acquire close to 20% of Standard Chartered Bank’s shares. While at the same time, in Hong Kong, Standard Chartered Bank (Hong Kong) was one of the 3 banks to be granted the prestige to print Hong Kong dollar notes. When Temasek accumulated close to 20% stake, the Hong Kong government issued a warning that further raising of the stake by entities controlled by a foreign government may cause Standard Chartered Bank to lose its privilege to be one of the 3 banks that is allowed to print bank notes. The ability to print bank notes for all legal tender Hong Kong dollar notes is seen as something very prestigious. Fast forward to modern day, Standard Chartered Bank is one of the world’s major banks. In 2015, under the Basel framework (into it’s 3rd revision) for the stability of the banking sector for which Singapore is one of the signatory countries, some banks are deemed as “Domestically Systematically important bank” or D-SIB by Monetary Authority of Singapore (MAS). Hongkong and Shanghai Banking Corporation (HSBC). MAS said D-SIBs are banks that are assessed to have a significant impact on the stability of the financial system and proper functioning of the broader economy. All banks in Singapore will be assessed for their systemic importance annually based on their size, interconnectedness, substitutability and complexity. Banks that are deemed D-SIB will be subjected to additional pair of eyes from the MAS, hence their successful continuation is deem nationally important in Singapore. Hence it is safe to say that Standard Chartered Bank (Singapore) Limited is “Here for good”. 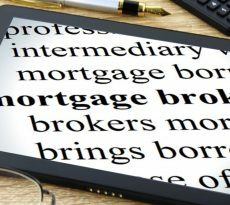 As a Mortgage Broker we are impartial when it comes helping customers compare and analyse the best home loan packages. On a personal level, I cannot help but have a deep affinity to Standard Chartered Bank just because of the Tanglin Halt branch. “Boy boy, you come to deposit your pocket money again ah… Got enough money to eat or not you deposit so much?” still rings in my ear, the familiar sight and the familiar sound, no less. Bank tellers are the unsung heroes of Banking, it gives the bank a “face” and a “Voice”. So is Standard Chartered Bank a foreign bank or a local bank? It is a foreign bank whereby Temasek has a very strong share position. For me, this is a bank I grew up with, it is a bank I feel very local and close to my heart.